Revenue is the largest single number in the financial statements that attracts a great deal of user attention. It is therefore important that it is recognized, measured, and presented rightly, so that the users are given the exact information they require. There are various methods of revenue recognition, but not all of them are appropriate for every business model. Regardless of the revenue generation method you choose, get FinancialForce to provide your finance team with the tools required to serve the needs of an entire business - from an enterprise class, secure, and scalable platform. FinancialForce Revenue Recognition automates recognition calculations, eliminates error-prone, and time intensive spreadsheets, and adheres to key revenue recognition standards. 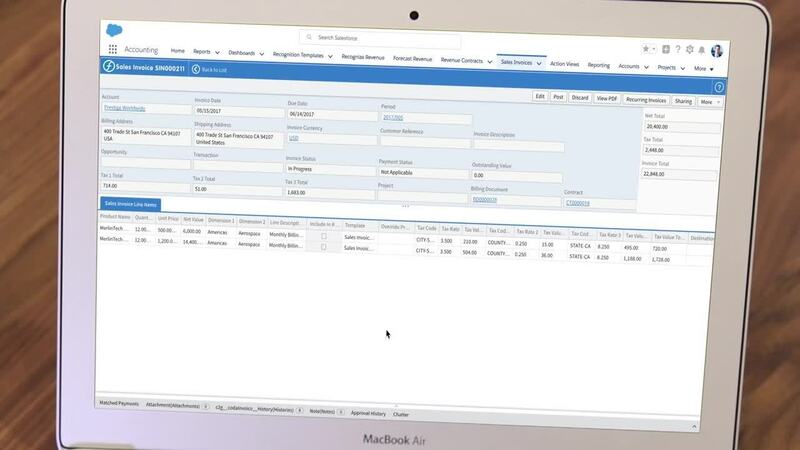 Built on the Salesforce platform, FinancialForce seamlessly integrates with Salesforce CRM and other FinancialForce ERP solutions, ensuring that all customer data is interconnected. Centralize revenue streams in a single revenue recognition solution. Get compliant with the new ASC 606 & IFRS 15 standards. Automate calculations, reduce your period-end close and gain a complete picture of your organization’s revenue - both recognized and deferred.